I recently was able to finish up two new activities that I started a while ago and never seemed to find the time to complete. The first is Building Sentences. 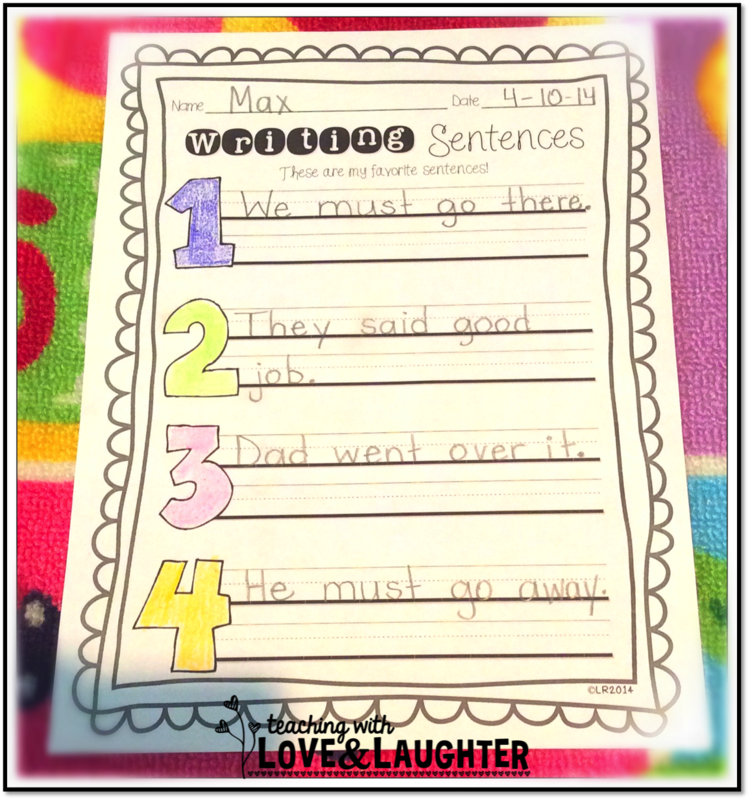 Now that my kindergartners are writing more and more, I wanted to give them lots of practice writing complete sentences and following all the proper conventions. 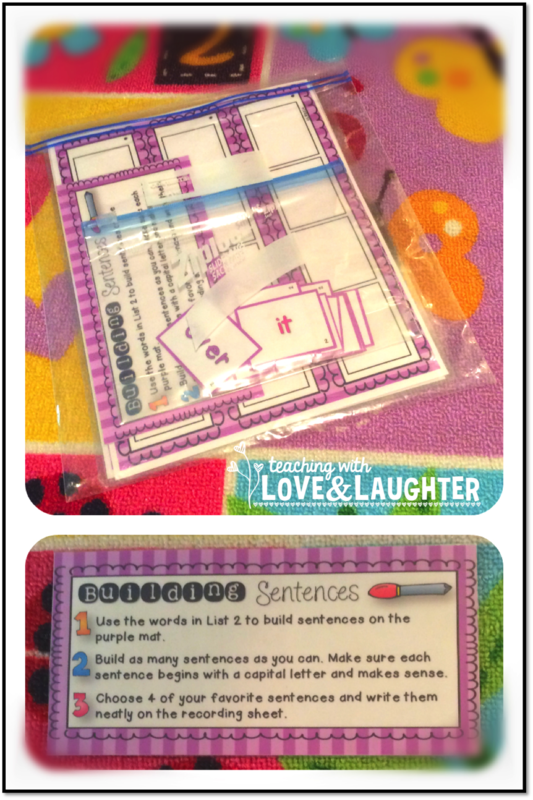 Building Sentences contains 21 different word lists that can be used to make lots of different sentences. 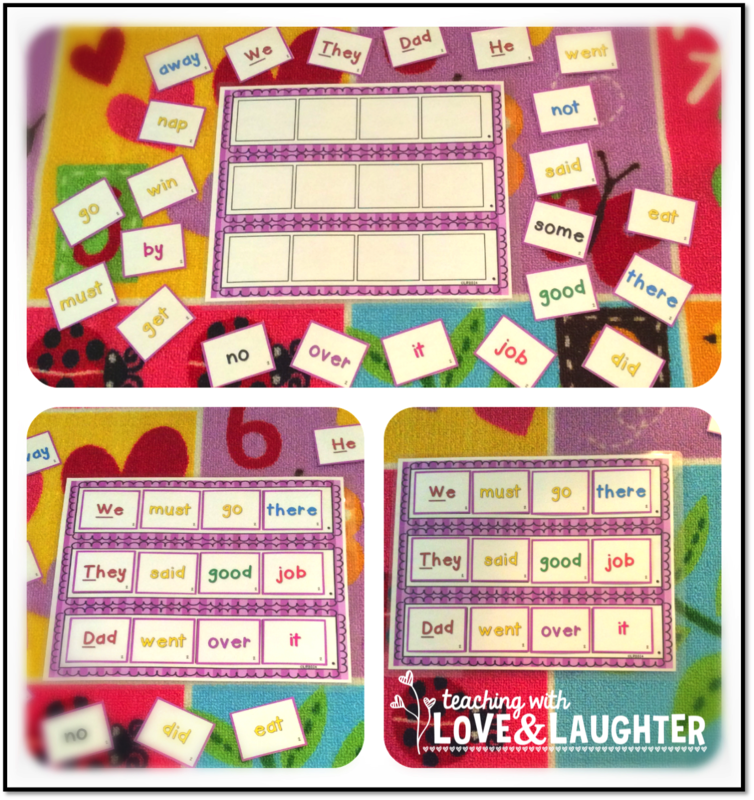 The words used are all the popular sight words and decodable words. I used almost all the Dolch Pre-Primer and Primer words and the words from the 2014 Kindergarten Journeys reading program. The activities are very easy to prepare and I numbered and color coded everything to make it easy to keep organized. I even color coded the different parts of speech. I printed and laminated mine and store them in Ziploc Baggies. It's easy for me to pull out a pack and place it in my Word Work station. You can keep the same list at the station for one week or more. Whatever works best for your class. I keep a lot of my stations out for more than one week. There are a few recording sheets too, to check for mastery. 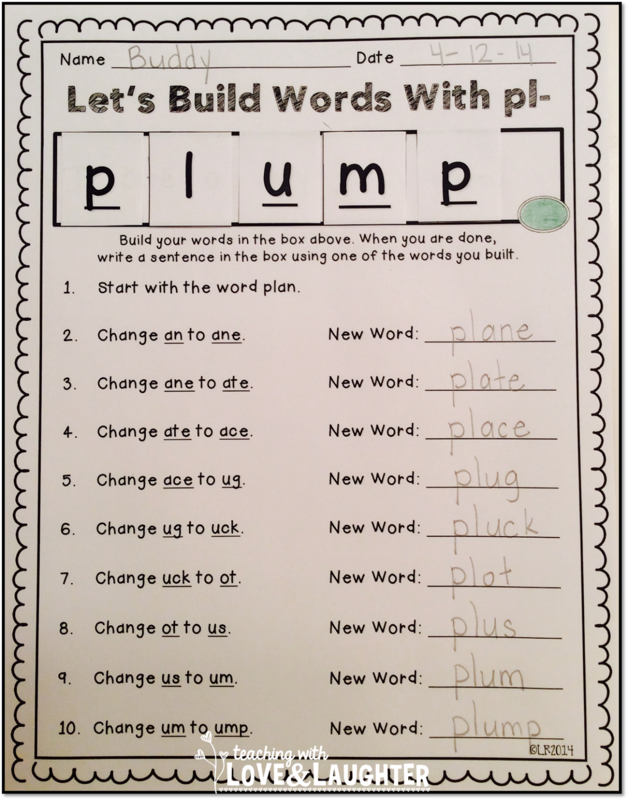 I also finished up Let's Build Words With Blends. Building words is such a fun way to practice decoding and blending. My original pack did not have words with blends. You can find it here. It's on sale for a few more hours! Next up...building words with vowel patterns! 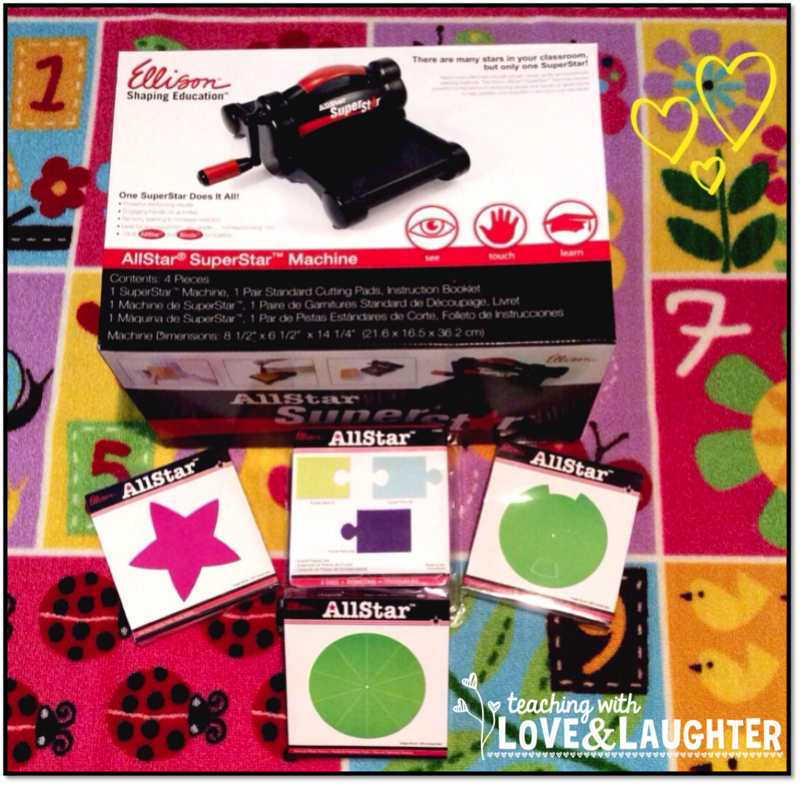 Just imagine how much fun it would be to have your very own Ellison Press! Your dream could become a reality! What great ideas! I'm on my way to your TPT store right now! Thank you for the opportunity to win the Ellison machine! I enjoy receiving your newsletters and popping in to check out your blog when I have a minute. You're inspiring and entertaining at the same time! You have some great ideas! I am looking forward to the Building Sentences activities. My resource kiddos need a lo of help in the area! 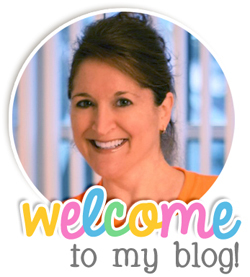 I will be sure to visit your TpT store! I am looking very forward to using the Building Sentences activities. My resource students need a lot of help in this area! I will be visiting your TpT store right away! Thanks!